1. Gather your wits about you and make cupcakes according to instructions on box. Let them cool completely after they’re done baking. 2. 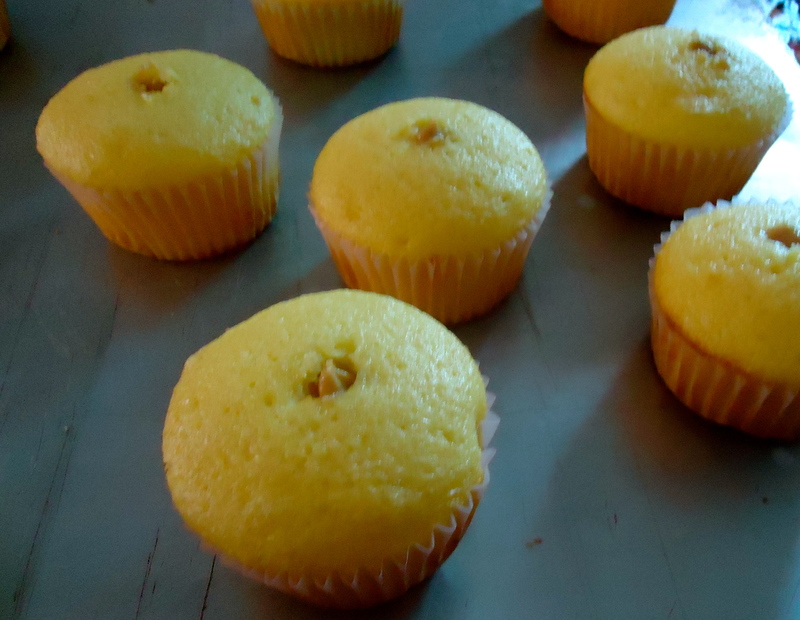 While the cupcakes are baking, make the filling. 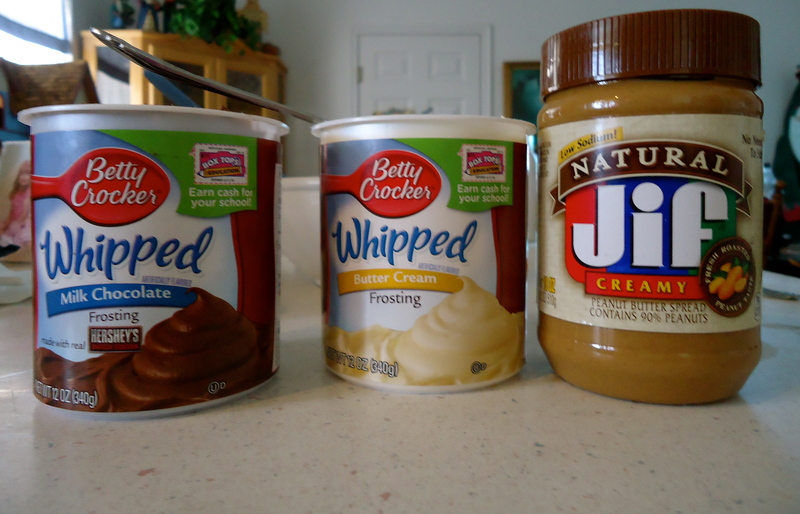 Combine the whip cream, butter cream frosting, and peanut butter in a bowl. 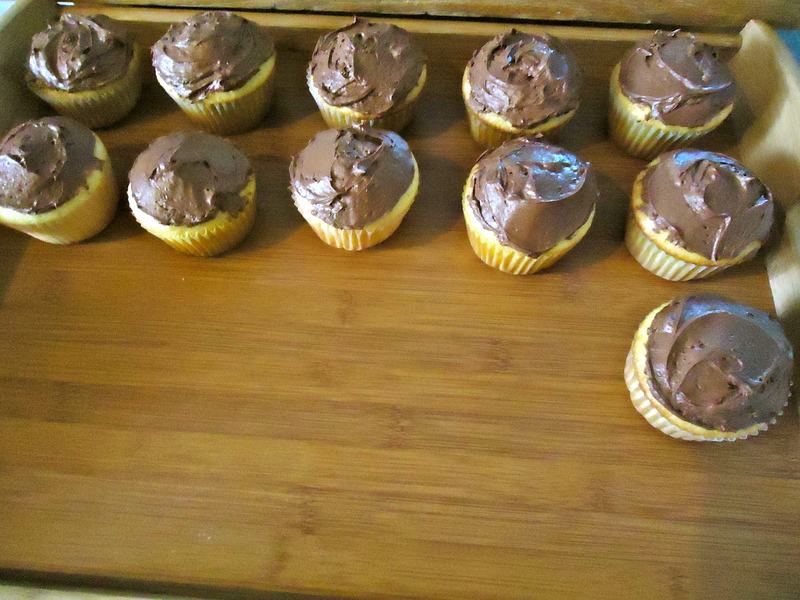 (Save the chocolate frosting for later). 3. Insert peanut butter creamy goodness into a piping instrument. 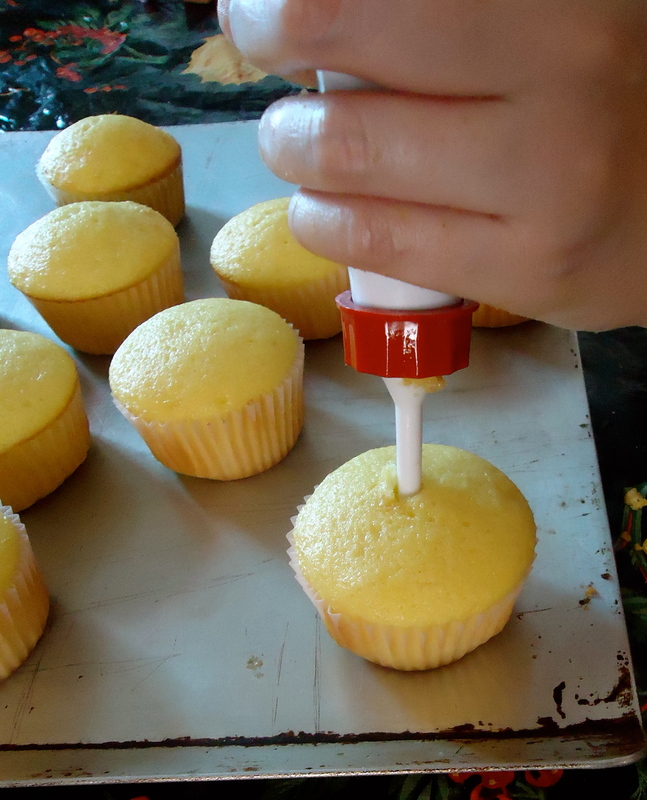 It’s best to use a long, skinny tip that you can easily insert into the cupcakes. 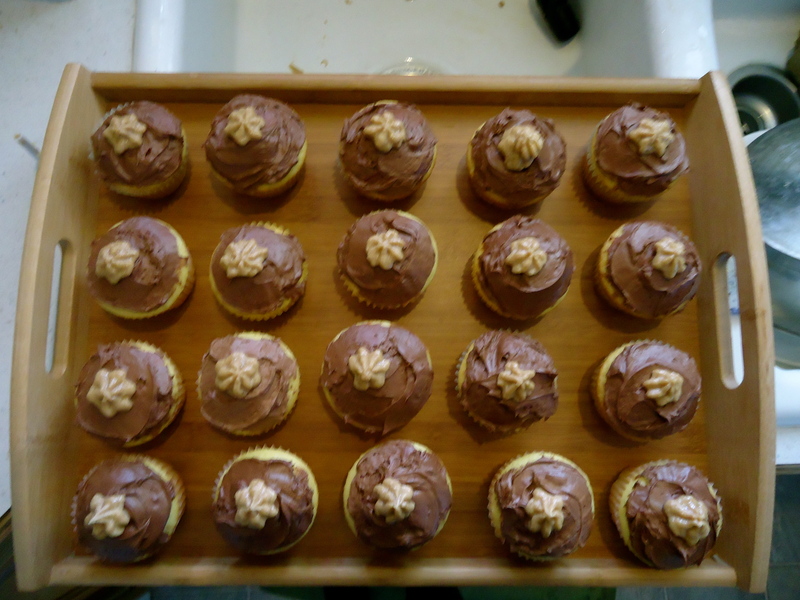 Inject the cupcakes with the peanut butter mixture. Don’t be shy. Really get in there. 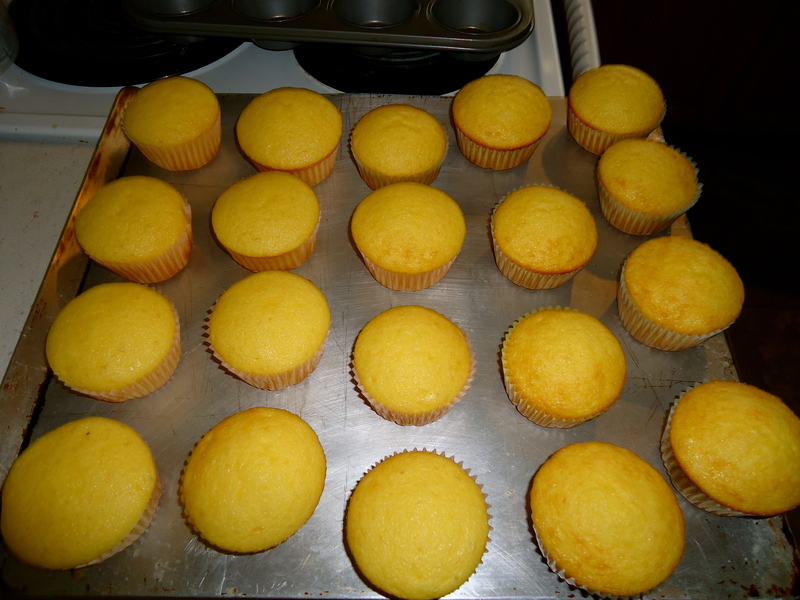 Note, your cupcakes will have a hole on the top. DO NOT BE ALARMED. You’ll cover this bad boy with frosting and no one will ever know. 4. See? Once you coat your cupcakes with a nice layer of that whipped chocolate frosting, a forensic scientist couldn’t detect the gaping hole you put in the cupcakes earlier. 5. 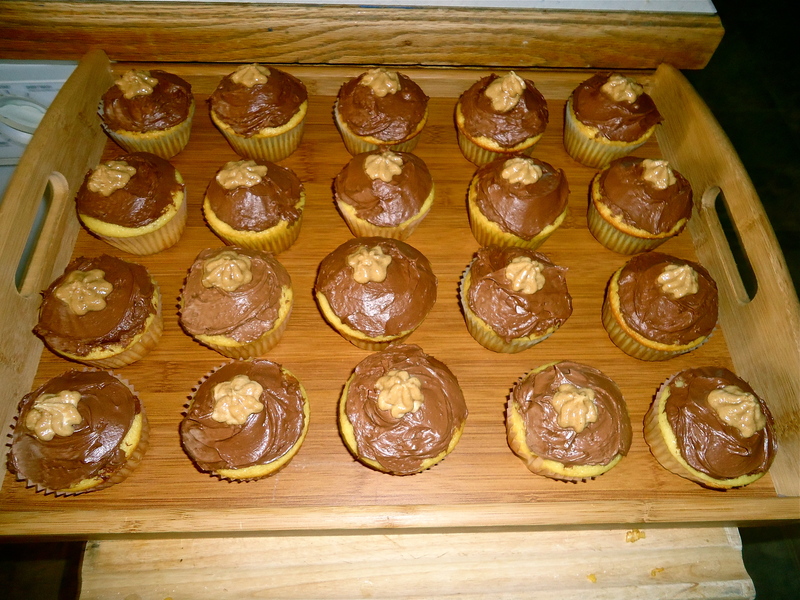 If you want to be fancy, you can switch out your tip for your piping instrument and put a little flower-shaped dollop of peanut butter cream on top, so people can tell there’s something up with these cupcakes. Then you should probably eat them.